Thomas was born and raised in Greenville, SC. He attended Furman University on a Cross Country and Track scholarship and graduated in 1996 with a BA in Health and Exercise Science, and an MA in Education. Thomas found Rockmont as a CIT back in 1987 and made it his summer work throughout college and up until 2003. Following his passion of running and education, Thomas spent 15 years in higher education as a college Cross Country and Track coach at Davidson College, Brevard College, and Lees McRae College. 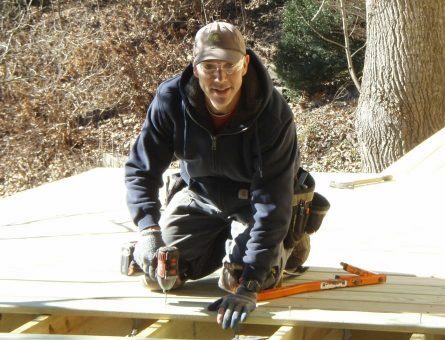 In 2016, Thomas came back to Rockmont on our year-round staff as the Property Manager and enjoys helping to keep the grounds and all the buildings up to Rockmont standards. When he’s not working to keep camp thriving, Thomas enjoys trail running, cycling, and keeping all of the Rockmont dogs well fed with tasty treats!